The scholarship search can be intimidating. The most popular online scholarships searches, like FastWeb, force you to wade through thousands of worthless scholarships. They are not worthless because they are scams, rather they are worthless because they are not personalized. 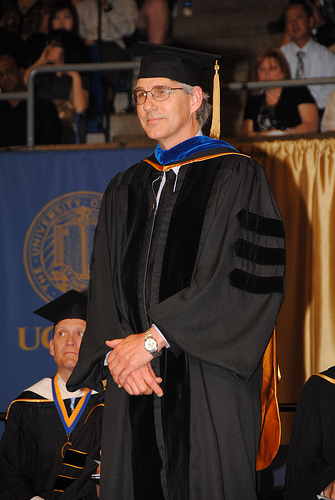 In fact, in my five years working in Higher Ed I have never met ANYONE who has won a scholarship through FastWeb. Obviously people do win these scholarships, but the chance of you winning a scholarship found through FastWeb is very low. I highly recommend searching locally for your scholarships. I have written in length about the benefits of this in the past. Your chances of winning increase drastically when the applicant pool drops from thousands of students to less than 50 for most local scholarships. Once you have gathered a list of scholarships that you wish to apply for, you have to start the actual application process. This process can also be intimidating, but it does not have to do. I have compiled a list of the top 8 ways to dominate your scholarship applications and ensure that you maximize your chances of winning as many scholarships as you apply for. Start early!! Almost every scholarship has a deadline and many scholarships give priority to applications submitted early. Compile a list of accomplishments, awards, professional experience, education credentials, and volunteer organizations. Having this list handy will save you many hours during the application process since nearly every application will ask for this information. Be aggressive! Scholarships are designed to reward deserving and persistent students who are willing to “do what it takes” to further their education. A scholarship committee is not impressed by a “less than your best” effort. Identify and contact at least three people who would be willing to write an impressive recommendation letter on your behalf. Apply for every scholarship for which you are eligible. Follow up! Don’t let your scholarship application slip through the cracks. Scholarship committees will also appreciate the dedication you show in your future endeavors. Be organized! This is great time to improve your organizational skills. Make sure to keep track of all deadlines, signatures, recommendation letters, and any necessary follow-up questions from a scholarship organization. Don’t underestimate the importance of applying for scholarships. After all, a successful scholarship search could land you with a free ride and money to spare! 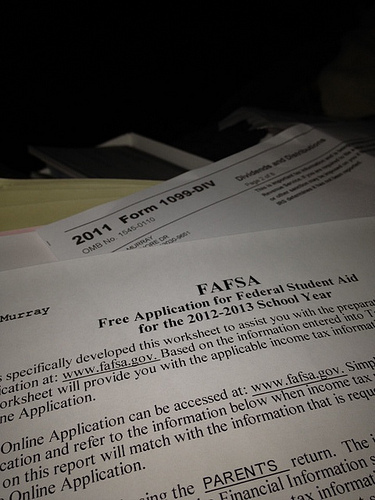 Searching and applying for scholarships is not easy. If it were, everyone would have a full-ride to college. FastWeb likes to say that there are millions of dollars in unused scholarships each year. I don’t believe this, but I do know that there are many scholarships which do not receive many quality applications and are forced to award their money to a less than stellar student. This is where you have an opportunity to swoop in, submit an impressive application, and win a scholarship over your classmates. Following the above 8 tips will give you your best chance of conducting a scholarship search that is sue to land you some funds to help pay for college. Searching for scholarships can lead to a frustrating mess of results. More often than not, you are sorting through scholarships that are outdated and ones that you don’t even qualify for. When you are trying to find legitimate scholarship opportunities to apply, this can be incredibly frustrating. I often compare this to searching for a job in a difficult economy. You are trying to find a means to support yourself financially, and you are getting a little desperate because time is running by quickly and your hopes and dreams are on the line. The best scholarship search tip that I have is to start searching for scholarship locally. Every high school guidance counselor has a book full of scholarships notices that have been sent to their school. Many of these guidance offices post these notices on their website. Even if you do not attend that high school, these guidance counselors are often more than willing to share information with you about scholarships in the community. Local scholarships are much more attainable because of the number of applicants, and the relevance of the student to the scholarship organization. For example, if a student lives in the same town where he applies for a scholarship from a local organization, it is very likely that the scholarship committee who reviews his application will be able to relate to the student. Members of the committee may know of organizations that the student has volunteered at, they may know the school the applicant attended, they will most likely know of the college that the student has applied to, and who knows, they might even know the student’s family. Also, most local scholarships are only intended for a local applicant pool. This limits the number of applicants and guarantees a local student will win the scholarship. Simple math will tell you that if there are only 30 applicants for one scholarship you have a much higher percentage chance of winning than if you apply for a nationally competitive scholarship with thousands of applicants. 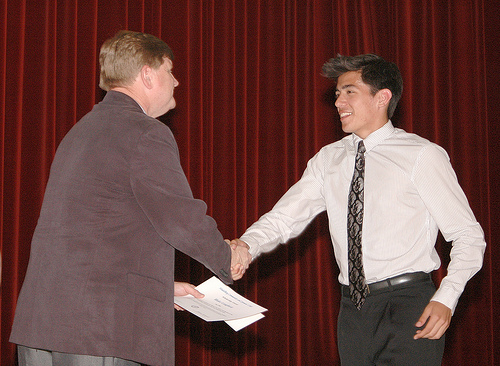 Local scholarship awards are also nothing to scoff at. We are not talking about piddly $250 awards. 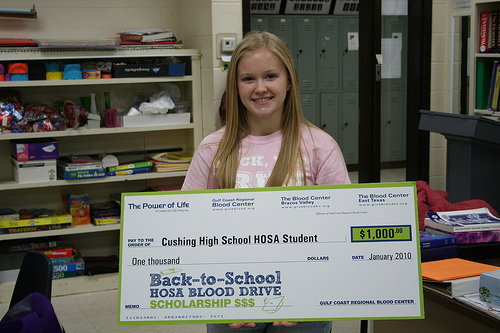 Most local organizations give a minimum of $1000, and often this is a recurring award. For example, when I was applying for scholarships I won an award from a local non-profit that only provided scholarships to students from my high school. The award was $3000 for 4 years. This was a huge boost towards paying for my college and one of the largest single scholarships I received. All from local resources! Many local scholarships also have additional benefits like banquet dinners in your honor, achievement awards, articles in the local paper, and billboards with your face on them. Even if you don’t enjoy that…your parents and family sure will! There is no one right way to search for scholarships. My advice would be to start local, then expand your search once you have exhausted your local scholarships. My hunch is that you will find much more success by staying at home rather than going abroad. Most media outlets would agree that we have officially risen out of the “Great Recession” and we are now on the road to recovery. However, with unemployments rates still sky high and jobs still difficult to come by, many of us are still feeling the effects of the stagnant economy of the last few years. One glimmer of hope for the rising costs of tuition, is that the struggling economy has caused a few colleges and universities to broaden their financial aid programs. Tope tier universities such as Cornell and Harvard have instituted new Financial Aid initiatives aimed at further assisting families in the low-middle income section. Cornell Financial Aid officers describe this new initiative which has eliminated the parental contribution (which is used to calculate your expected family contribution) if your parents make between $60,000 and $100,000. This means that your EFC number would only be based on the student’s income which will greatly increase a student’s financial need. This adjustment is only applicable to campus based scholarships and grants however. 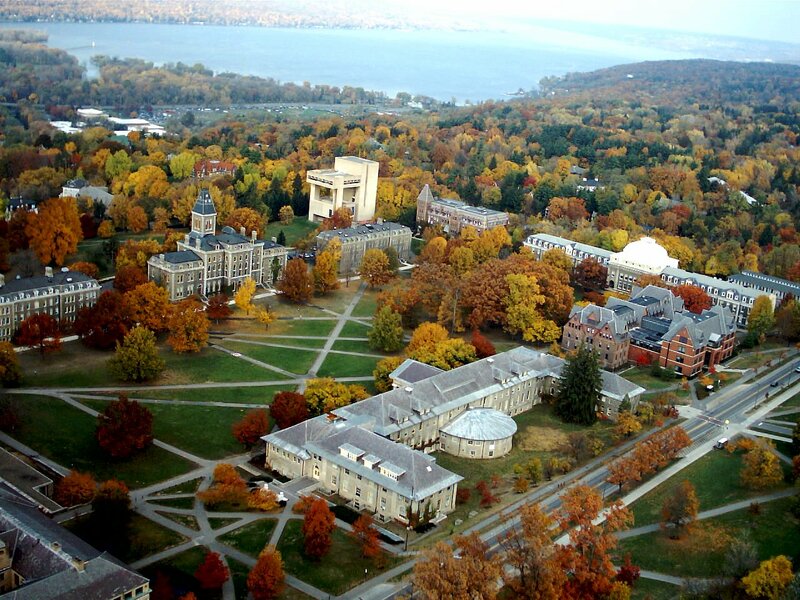 Try as they might, Cornell (or no other college) can alter the Federal Financial Aid formula. So this new calculation by Cornell would not apply towards Federal Pell Grants, Subsidized Direct Stafford Loans, or Federal Supplemental Educational Opportunity Grants. Harvard University has drastically lowered the cost of tuition for all families making less than $180,000. All told, more than 90% of american families will qualify for financial aid at Harvard University. Harvard has the largest endowment of any college or university in the United States at over $30 BILLION. They have almost double the endowment of the second college on the list; Yale University with $19 Billion. I don’t anticipate that Harvard will feel the impact of this change too much, however it is a great sign that colleges and universities are making moves to help their education be more accessible and affordable. So you can see how many of the top universities across the country are allowing more and more students to access their educational services. With the economy continuing to struggle in recovery, I would predict that even more universities will implement sweeping financial aid reforms in order to continue to attract top talent. As I wrote yesterday, Georgia Tech just started an online master of computer science degree and is offering the entire advanced degree for $7000. Programs like this one, and the changes in financial aid policies are all encouraging signs that the future of education is still bright, and will continue to make college affordable and accessible for all students. Getting a Master’s degree is time consuming, stressful, and expensive. As bad as that sounds, an advanced degree is an essential element of career growth for many professions. A Master’s degree will often open the door for management opportunities, and separate you from your peers in a battle of credentials. For some professions, a Master’s degree is a required credential or “piece of paper” that can be a literal brick wall to your career if you do not have one. This is where I have found myself as a staff member in higher education. I work for a large public university and the state human resources board has determined that virtually all management positions and the majority of positions with any responsibility (and therefore decent pay) require a Master’s degree. I have known since entering this career that I had to get my Master’s degree if I ever wanted to advance my career past entry level. Master’s degree can vary widely in cost. For example, the graduate programs at the school where I work range from $380 per credit hour, to $14,000 flat rate fee per semester. This wide range of pricing can be torture for someone who likes to plan. Thankfully, every program has a set price so you can narrow down your research to the programs that you are interested in applying to. The graduate program that I applied for is $602 per credit hour. The program requires 48 credit hours to graduate which will come to an approximate cost of $28,896. That price does not include books, supplies, and the other little extra fees that colleges tack on every semester. So you can figure an even $30,000 by the time I would have finished my degree. My plan is to take two classes per semester, which would total 6 credit hours, or $3612. A semester is roughly 4 months in length, which would mean that my master’s degree would cost me $903 per month. That is more than my house payment!! With the depressing cost of an advanced degree in my blurred vision I began to look around for alternatives to paying this tuition cost all by myself. My first place to look was the human resources website for my employer. What I found, was one of the few perks of working in higher education. The university I work for allows employees to take up to 6 credit hours per semester for free! Talk about a benefit. This essentially means that I just earned a $903 per month raise if I was able to take advantage of this benefit. The only fee that I am required to pay is a $12 per semester software license fee that goes to support the IT infrastructure and the discounted software that we have access to as students. I think I can handle that! If you work for a company that is not an actual higher education facility your company will likely offer tuition reimbursement of some form. Many companies will reimburse you up to a certain amount as long as you earn an A or a B in a course. Some companies may have a pool of professional development funds that you have to apply to every semester, and other companies may actually pay you an increased salary with the intent of using those funds to help cover the cost of your Master’s degree. With a variety of different formats, it is a really good idea to speak with your human resources department to get an idea of how your employee tuition assistance program works. If you feel stuck in your career, often times an advanced degree will give you the jumpstart that you need for upward mobility. It may even open up an entirely new career path. Who knows, you might learn the skills necessary to start your own business and break free of the 9 – 5 work chain. A Master’s degree can be an incredibly rewarding experience, and it is even sweeter if you can get someone else to pay for it!